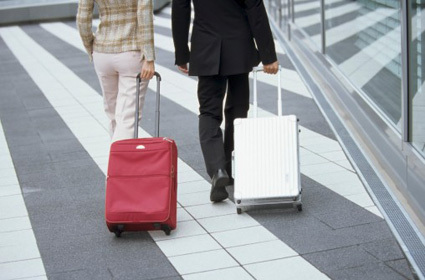 Today, I want to challenge you to reduce your luggage load by 25 kilograms (55lbs). This follows on from my last blog post where I encourage people to switch to carry-on only. Take less Clothes because in reality, you don’t need everything you want to take. My rule is to pack and then reduce by half the number of clothes you have packed. The reality is most people overpack. Choose clothes that will all combine. eg for men, make sure your ties and shirts will all work together. Taking 3 shirts and 3 ties creates 12 combinations. Most conferences and business meetings I have don’t go for more than 2 days. No one will see me wearing the same shirt again and if they do, with a different tie, it can look like a different shirt! Plan to wash. I aim for a weekly wash. I either wash in a hotel/motel with laundry facilites or find a laundrette or plan to stay with family or friends at certain times. Thank you to friends and family across that form part of the Aussie laundrette service…am thinking of Nikki in England, Geoff, Mike & Steve, John & Alison in the USA, Mum when she was in NZ. I owe you guys. I therefore pack a week of clothes. NB missing a wash can mean a tricky situation! I avoid getting my hotel to wash clothes for me-thats way too pricey. Take quick drying underwear, socks and t shirts. I find them at camping stores. They are great because you can hand wash them in a sink, leave them to dry and most times they dry overnight. They are not cheap or very fashionable but 2 pairs means a lot less conventional underwear is needed. if you are buying duty free, see if you can buy it on your trip home so you dont have to carry it for you. Best method is to have it waiting at your home airport for you. Next Post, I will reveal where to get info re airline baggage rules. Comments? Hi Steve I am with you. See my post from a couple of days ago about only taking carry on. So, I am in full agreement with you–except I allow myself up to 8kg because I have yet to see an airline with the 7kg rule panic. On one occasion, they asked me to take something out and wear it!Out of 80 flights this year, I have checked in twice.